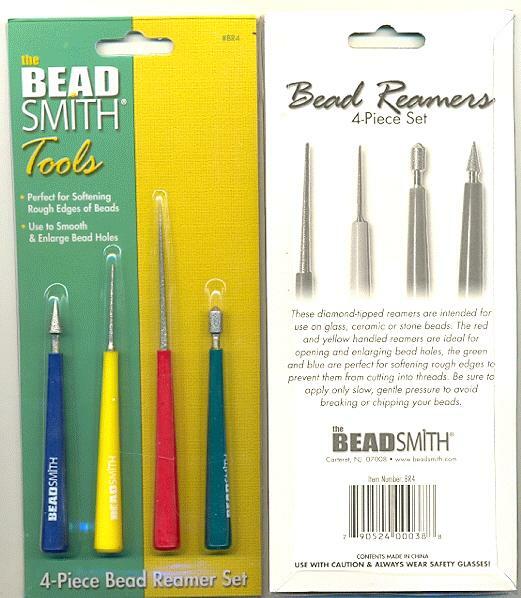 Price listed is for each 4 piece set of bead reamers. These are diamond tipped reamers intended for use on glass, ceramic, acrylic or stone beads. 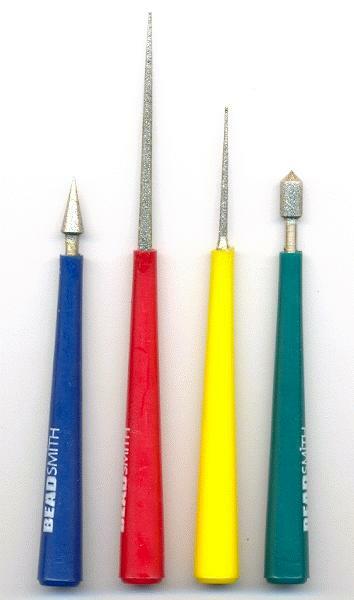 The red and yellow handled reamers are ideal for opening and enlarging bead holes, the green and blue are perfect for softening rough edges to prevent them from cutting into threads.